Home » Resources » LED Chip Styles: What’s Best for Your Application? LED lighting has come a long way since its introduction, becoming more compact and cost-effective with each new technological advance. 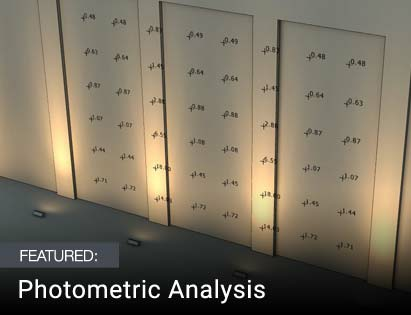 When choosing the right lighting for your application, it helps to understand the evolution of LED chip styles and the differences between them. LEDs, specifically Dual In-Line Package (DIP) LEDs, were first developed in 1962 by Nick Holonyak. This familiar design has the chip inside a hard plastic bulbous head, with 2 straight parallel connecting pins. On average, DIP LEDs can output 3-4 lumens per LED. Although this design is still used today in some products such as accent lighting (like rope light), with its optical decay and lower CRI, it’s far less efficient than newer LED chips. Today, there are more advanced LED chip styles for home, commercial, and industrial use. This includes Surface Mounted Diode (SMD) and Chip-on-Board (COB). They use 3 to 9 diodes per chip and produce more lumens per watt than the original DIP LEDs, with longer lifespans. Surface Mounted Diode (SMD) LED chips were the next major evolution after the DIPs. SMDs produce a much higher light output than traditional LEDs and use far less power. They have a smaller, flatter design, a longer lifespan and consume up to 75 percent less energy than DIP LEDs. Using RGB, they can create up to 16 million color combinations, and they offer lower maintenance costs. Usually mounted onto a circuit board, this design is more versatile, since multiple diodes can be placed on the same chip. SMD LEDs provide superior brightness and the ability to change colors. Applications include linear LED strip lighting, LED high bay lights, LED flood lights, and LED recessed downlights. They’re identified by a 4-digit number to indicate the chip size. 3528 SMD LED This medium output LED is frequently found on low voltage LED strips. It uses 1 light-emitting diode . and outputs about 7 lumens per chip, producing smooth, bright light. Less heat is given off, so they’re safer to touch than a halogen lamp. They’re also extremely reliable, with a rated lifespan of up to 50,000 hours. Various colors are available, in addition to cool and warm white. The 3528 SMD style LED chips are often used for feature or accent lighting, such as under cabinets and along stairs. They can also be used as cove lights or plinth lights, and are found in homes, restaurants, bars, hotels, and other environments. Double-power 3528 SMD can be used for general lighting LED tape, to replace halogen bulbs or fluorescent tubes. 5050 SMD LED Also known as a “tri chip,” this 3-LED design creates a high-output LED light with three times the brightness of the 3528 at about 22 lumens per chip. It’s also available as a “quad chip” with 4 LEDs. 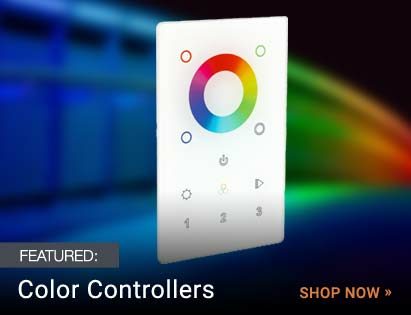 Multicolored 5050 LED lighting strips require an RGB LED controller to operate. LED 5050 SMD lights are used as bright accent lights, sign lights, task lighting, and cove lighting in homes or businesses. When 5050 are packed close together in a fixture, they can create a very powerfult light source, making them appropriate for full wall-washes, bar lights, club lighting, etc. Various colors in addition to warm and cool whites are available. In certain cases, the 5050 style can be used for primary lighting, such as for corridors or to replace fluorescent tube lights in residential and commercial locations. 5630 SMD LED This style of LED chip is a bit smaller, yet outputs more light at a greater intensity than the 5050 SMD chip, up to 50 lumens per SMD, and they have a lifespan of up to 50,000 hours. There are many applications for 5630 SMDs, including hallway and stair lighting, window lights, deck lighting, contour or border lighting and trail lights. They’re ideal for commercial use in malls, clubs, theatres and restaurants, and as decorative lights. 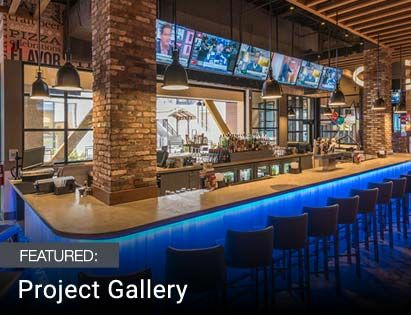 Other uses include architectural lighting, security and emergency lighting, backlighting, sign lights, and for special events and convention exhibits. Newer Models of SMD LED Chips If you’re looking for even more efficient, brighter lights, newer styles include the 2835 SMD LED chip, 3020 SMD LED chip and 3014 SMD LED chip. These are even smaller than their predecessors and they offer extremely bright light with great efficiency, since it’s now possible to fit more LEDs on a length of PCB strip without the need for more power. They offer better heat dispersion, greater reliability, and a longer lifespan. Chip-on-Board (COB) is a recent development in LED lighting. It uses multiple diodes, usually 9 or more, that are bonded directly together on the substrate and packaged together as a single lighting module. This design takes up less space and provides the greatest light potential. COB LEDs are used in small devices such as cameras and smartphones, in addition to high-power LED floodlights and spotlights. They offer a more condensed design, with multi-directional light or uniform light in all directions. When lit up, the appearance is that of a lighting panel, rather than individual lights. Because a COB chip has many more light sources in the same amount of space as a traditional LED, it provides a far greater lumen output from each square inch. Actual light output varies greatly depending on the specific design and wattage, but they can be many thousands of lumens per COB LED wafer. COB LED advantages include improved thermal resistance, a larger cooling area, better lighting effect and greater light efficiency. Its fewer components and more efficient packaging results in less heat generation, and they transfer heat to heat sinks more effectively. The COB design is also less prone to failing in hot environments (as compared to SMD LEDs). COB LED lights are frequently used as solid-state light replacements for old metal halide lamps in high-bay lighting. You’ll see them used for loading docks, factories, warehouses, delivery bays and other industrial applications. COB lights are often found in high-output downlights and track lights. They’re also used for street lighting, parking lots and outdoor facilities that need a wide spread of light over a large area..
Other LED chip styles that you may be hearing about in the future include Multiple Chips on Board (MCOB), used in LED bulbs and tubes; Multiple Chips and Cups on Board packages (MCCOB), used for high bay fixtures and floodlights; Stereoscopic Chips on Board (SCOB) and ETP FC (Flip-Chip), a new technology that offers greater heat dissipation, longer life, nearly zero decay and a smaller design for a more focused light beam and greater brightness. LED technology is constantly evolving and as time goes on, newer production methods and designs will yield ever more impressive LEDs that produce brighter light output and better quality light, all while using less and less energy. Contact us today and let us assemble a custom quote for cutting-edge LED lighting fixtures for your project.